"I know quite a few people who've recently made wills and who've found thinking through the issues involved quite uplifting and liberating, not at all morbid or depressing." "We are giving out a free brochure with a ten-step guide to making a will, and also a short DVD film. 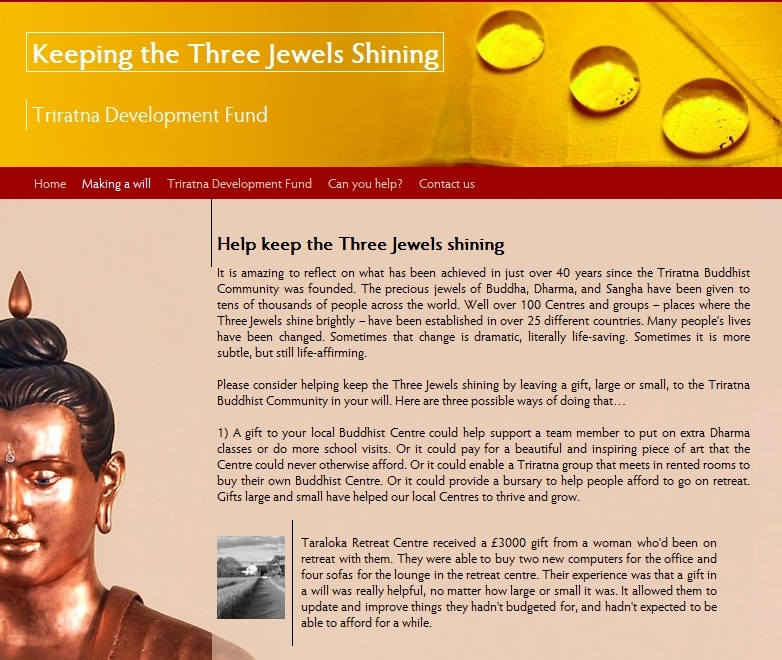 The aim is to encourage people to make a will, and also to encourage them to think about leaving a gift in their will to the Triratna Buddhist Community. "Making a will is an act of generosity. Firstly, it is generous in that you are making sure your affairs are in order so that you're not leaving difficult issues to be sorted out by your loved ones after you've died and they are grieving. Secondly, it's an act of generosity because in making a will you have to think about how you can make use of what you own after you've gone. It is an opportunity to give to family, friends, and communities and causes you care about. "Making a will can be inspiring and satisfying; it is a chance to think through what really matters to you, and a small way of reflecting on the Buddha's teaching of impermanence. "We've also made a film to go with the will-making campaign. It’s a short and simple, 20 minute film, in which various members of our community reflect on what the Three Jewels mean to them, and why we need to keep the Three Jewels shining. "In the second film, available here, people talk about how their practice of the Dharma has deepened over time, and also on their attitudes to death and dying. There are a few moments in the film in which you sense people's practice has gone deep. This is my favourite of the three sections of the film". Have your say. 2 comments so far. The annual Triratna Football Tournament, now in its 12th year, is a much-loved part of Triratna’s annual calendar - at least for its devotees! The strength of its connection with Buddhist practice is proven by the fact that it awards prizes not only for goals but for fair play - can any other football association say as much?! Plus, of course by it's distinctive kit, as shown in the photos below. “The annual Triratna football tournament took place last month in Victoria Park, not far from the London Buddhist Centre. Teams from Buddhafield, the LBC, Ireland, North London and Cambridge took part in a hard fought and close competition, with the LBC eventually coming out as victors on goal difference. The photos show the LBC’s kit, which was designed by Jim Taylor, a mitra at the LBC. "In January the centre welcomed Dhammavijaya as its chairman and Maitreyabandhu as its president with the movement’s name change marking an exciting new period for the order as well as the community. Friends have come and gone and the Sangha has seen new Mitras and three new Dharmacharinis. "On 15th May, after a long period of consultation and discussion with the Sangha, the Croydon charity council made the decision to sell the building the Buddhist centre presently occupies and find somewhere new. The change seems all the more auspicious since the movement wide name change and with 2011 marking the 30th anniversary of our residency in the Croydon High Street. "The decision to sell the property was just the start! We then had to start looking at how we would sell a building we’ve occupied for 30 years and find another more suitable building to move into. All that before we even consider how we’ll move 5 floors of Buddhist centre! The task of overseeing the move has been entrusted to a small group comprising Dhammavijaya, Sucimani and Vijayasri, who are all part of the council, and Carol Robertson, who in August took on the new role of Centre and Project Manager. "The team decided on the name Vishvavajra, which is Amoghasiddhi’s emblem, as the qualities of unobstructed success appealed to the energy of the team and their project. The Vishvavajra is the double vajra said to be the foundation of the universe. In the short period we have been meeting, we have managed to create a wish-list, we’ve looked at a few properties, had our existing building valued and established contact with local estate agents, we’ve consulted with the council on our financial options and launched the whole project of moving the centre at a recent ‘mandala evening.’ To gain perspective on the range of options for our Sangha we created a map of where our Sangha currently live. "Many of us first encountered the Dharma when we walked through the doors of the Croydon Buddhist Centre. The Buddhist centre holds many memories for each of us and may have been the place where we learnt to meditate, grappled with our understanding of the Dharma on courses and in study groups, built friendships, had our Mitra ceremonies and celebrated the Three Jewels in our festivals. It’s a special place for us and there is much to rejoice in. It’s not easy to think of leaving. 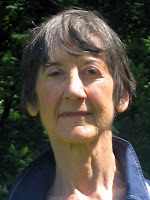 "The reflection on moving has brought us awareness of the Croydon Buddhist Centre as not simply bricks and mortar, but as a space which embodies the senses both of stillness and of adventure we experience there, our connections and friendships with each other, our well loved Rupas, the beautiful garden and coming in contact with the Dharma. We won’t be leaving this behind with the building - our Sangha will move to somewhere that provides conditions better suited to us deepening our connections with each other. As well as finding somewhere new for an existing Sangha to flourish in we also have the opportunity to create conditions for those folk who are yet to meet the Dharma to step into. Watch this space!" “Thousands of people from various states of India and abroad gathered at Nagaloka on 17th October at 10.30am to celebrate the 54th anniversary of the Great Mass Conversion to Buddhism by Dr Babasaheb Ambedkar. The event was organised by Triratna’s Nagarjuna Training Institute at its beautiful Nagaloka campus. “For the first time, the celebrations took place adjacent to the 56-foot tall walking Buddha statue, which was inaugurated last December. Harsha Navaratne, President of the Sevalanka Foundation from Sri Lanka, Mr Muv from the International Network of Engaged Buddhists in Thailand and Savi Savarkar, a well-known artist from New Delhi were chief guests on the occasion, and Dharmachari Lokamitra presided over the celebration. Vivekaratna gave introduction to the Dharmaduta Training Course at the Nagarjuna Training Institute and Maitrivir-Nagarjuna from Delhi translated the talks into Hindi. “A seminar was conducted on the second day on ‘the image of the Buddha’., with Manidhamma giving a multimedia presentation on the evolution, history and symbolism of the image of the Buddha and how to appreciate the arts. This was followed by Maitrivir-Nagarjuna gave a talk on Art and Aesthetics in the life of Dr Babasaheb Ambedkar, and Savi Savarkar, who did a presentation on his own art. “In the beginning guests were welcomed by music and beautiful singing and chanting from Pali. Maitreyanath did the vote of thanks. In the evening all the students and guests visited the Deekshabhoomi and offered their respects to the relics of Dr Babasaheb Ambedkar”. 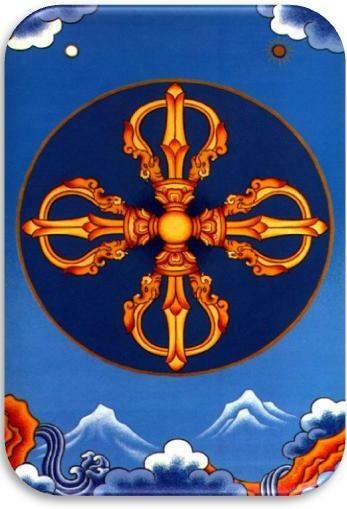 Triratna’s Windhorse Publications has a new book out - ‘The Art of Reflection’, by Ratnaguna. Sarah Ryan writes to say: “I have some news for you! 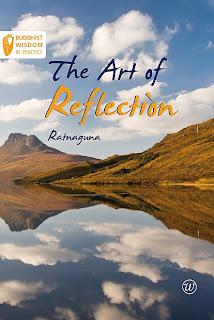 The Art of Reflection by Ratnaguna is coming out next Monday 25th October and we’re really excited about it. Ratnaguna’s going to be officially launching it at the Manchester Buddhist Centre on Monday 25th and we’ve got a little taster video of the kind of things he’s going to be saying. Click the embedded player below or here for the direct link. We’re genuinely excited about this book – I hope others will be too! 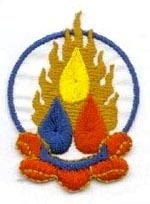 “Join us for the 3rd National Convention of National Network of Buddhist Youth , Bodh Gaya, 2010. It is an expression of our firm commitment to transform India into a country where Liberty, Equality and Fraternity are its basis. “For the last four years NNBY has been determined to propagate the great ideology of Lord Buddha and Dr. Ambedkar to create various opportunities for youth to connect to a meaningful life and in generating new ways for them to contribute in development of their fellow unprivileged friends. We envision young minds in India engaged in empowering self and social transformation. Our vision is a world where we GROW TOGETHER WITH MUTUAL LOVE. • Brotherhood, Friendship and Leadership by focusing the youth's boundless courage, energy and strength. • A series of lectures from distinguished Dhamma teachers and social activists. • Group discussions, Open Forums for sharing various perspectives, Cultural and Sports activities. “Our network and the NNBY Convention are open to all youth between 15-40 years, who believe in humanism and rationality and have faith in the mission of the Lord Buddha and Dr. Babasaheb Ambedkar. The venue is the Nyingma Monastery in Bodh Gaya, very close to Triratna's own land in Bodh Gaya, the fee is Rs 500/- , and they conclude with a friendly request, saying "Prior registration is essential for all those who want to participate .... Kindly don't just turn up!" Happily, registration forms can be filled in online by visiting nnby.org/retreat_registration. Buddha Festival coming up in Nagpur: you're invited! 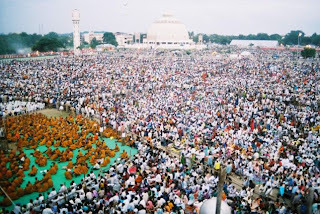 We are organising a “Buddha Festival” at Nagpur from 6-9 January 2011. 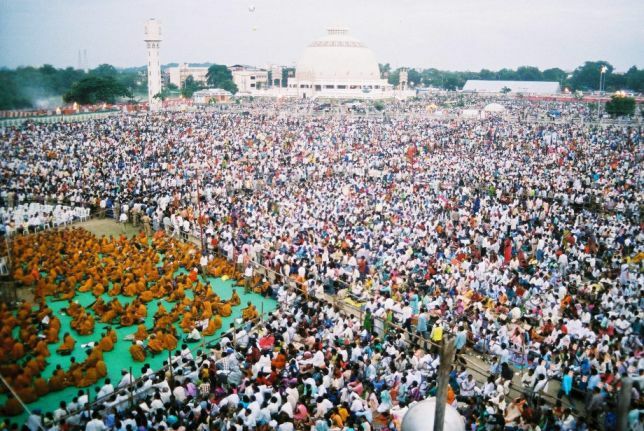 The venue is the Deeksha Bhoomi itself, the sacred place where Dr B. R. Ambedkar embraced Buddhism with hundreds of thousands of his followers on 14 October 1956. This great and most peaceful revolution has revived Buddhism in India and brought the treasure and glory of India back to our generation. A team of about 150 men and women, including many Order Members and Mitras of the Triratna Bouddha Mahasangha, plus Engineers, Doctors, Businessmen, Artists, Social activists etc of different organisations in Nagpur are all engaged and working for this cause. This will be a festival of Indian Buddhist art, culture & heritage. It assumes a greater significance as India is the Land of Buddha and the land where his teaching found roots before spreading across the entire world. Buddhism has richly contributed to the art, culture, music, architecture, education, economy, social life and more of both India & the world. Important Buddhist symbols like the Ashoka Chakra and Four Lions are seen in India’s national flag and national emblem respectively. Even the Indian Constitution has richly borrowed from Buddhism, thanks to the work of Dr. Ambedkar. The Buddha Festival is therefore a festival of our land, of India . This will be a four-day-long celebration of the life and teachings of The Buddha, portrayed through dance, music, painting, sculpture, paper presentations etc by both national and international artists. A specially designed Art gallery will have an exhibition of Buddhist painting and sculpture. We are trying our best to have the inauguration of this festival by His Holiness The Dalai Lama. We have chosen to hold this festival in the month of January as the weather at Nagpur is pleasant during this month and the Guests and Artists may feel more comfortable. This festival will have great effect on the followers of Buddha in particular and others in general. We cordially request for your participation. “Since May last year Subhuti has led four Order meditation retreats; three in India and one in the UK. He’s been leading twice-yearly retreats in India for over ten years, and they perform a vital function in the life of the Indian Order, providing a real opportunity for depth and reflection amidst the busyness and demands of Indian life. In the last year he has been focusing more on meditation; one on the Satipatthana Sutta and one on the System of Meditation. Both retreats have seen high attendances, one with 108 Order members - over a quarter of the male Indian Order. Numbers of course do not preclude depth and I heard several people reporting them to be the deepest retreats they'd ever attended. “The retreat in the UK had slightly less people, but depth was certainly present, with several saying during the reporting out it had been the most intense retreat they'd been on for years. Again the theme was The System of Meditation and talks are available here on Free Buddhist Audio. This was the first retreat Subhuti has led in the UK since 2002, but we hope it will become an annual event. Whether in India or the UK, these retreats are connected with promoting depth, especially within the Order, and personally this seems to me to be one of the key functions that Subhuti can perform. Obviously the retreat context is best for this, but it can be achieved more widely too. “In August he attended part of a large retreat for Chairs and others taking organisational responsibility within the Triratna Buddhist Community. Here he spoke on Just Sitting and the Six Elements practise. It seems that Just Sitting particularly has been needing more emphasis within our Order - Bhante had always given it a central place but that seemed to have slipped. In his talk on the subject Subhuti introduced the 'Five Justs' (five ways to approach Just Sitting) and that certainly helped me get clearer about what I'm meant to be doing in this practise. “Whist in the UK, Subhuti has been spending more time at his home in North Wales, where he hopes to do more writing. In the past year that has mainly consisted of editing and preparing material based on interviews with Bhante. These pieces, now published, cover important areas of Bhante's character and approach to the Dhamma that hopefully will serve as a basis for clarity both for us and those in the future. 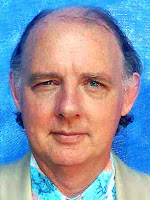 I also hope to edit some of his spoken material into resources that can be published on-line. They are available on Sangharakshita’s website www.sangharakshita.org . “Back in India, Subhuti has also been doing outreach work. In December we held a Dhammakranti (‘Peaceful Revolution’) retreat in Gulbarga in Karnataka - a new area for us. We had a thousand retreatants for five days and a substantial Order team (shown opposite). It was the usual slightly chaotic mix of talks, meditation, chatting and puja! What seemed most significant for me was the effect we had on the local Bhikkhus in charge of the centre where the retreat took place. At the start of the event we had some difficulties, but by the end they organised a felicitation program where they gave the fourteen Order members present garlands and small gifts. This is significant because our emphasis on Going for Refuge instead of on Bhikkhu ordination is more controversial in India. However, in his concluding speech the head Bhikkhu emphasised the depth and genuineness of the Dhamma which we communicated! “This work makes a significant contribution to the Sangha both in the West and in India. Thanks to modern technology we are more able than ever to make material taught in either context available to others. Thanks mostly to FreeBuddhistAudio, but also to Videosangha and CD and DVD distribution in India, the Dharma is spread beyond those who attend events that Subhuti leads/ participates in. Much of Subhuti’s support is raised by personal donations, and I collect donations via a fundraising page on JustGiving - see www.justgiving.com/supportingsubhuti . The money raised here contributes supporting Subhuti's work for the Dharma, spanning both India and the UK. There's also a Facebook page where you can keep in touch with what we're up to. Today’s story features a video interview with Lokeshvara, chairman of Triratna’s Padmaloka retreat centre. 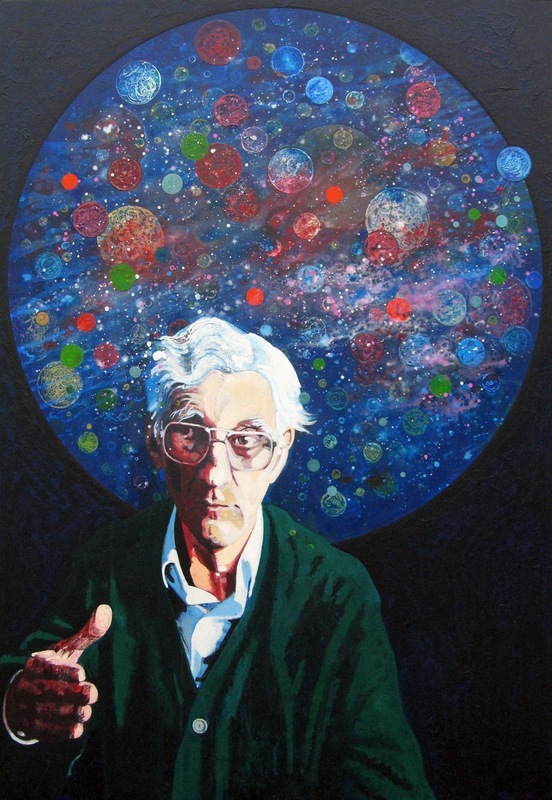 He’s introducing a remarkable new painting of Sangharakshita they’ve recently taken delivery of. Painted by Aloka, it’s enigmatically entitled ‘Sangharakshita as Mythophanic Psychopomp’ and features as the centre-fold in their new 2011 programme - out now. “What’s mythophanic?”, you might ask. “What’s a psychopomp?” You’ll have to listen and find out! Free Buddhist Audio's Community Places project is gaining momentum, sparking a shift in the way our Dharma archives work. This bold initiative brings our free collections very much into the present moment as talks are gathered from local sanghas around the world almost as soon as they are given! We are in a unique position within the Buddhist world to strengthen our sense of connection with each other by sharing online what we teach at our Triratna community: the Dharma in our own voices, in our own words, at a local level but connected internationally via our network of Centres, projects and businesses. We know many people put a lot of time and effort into giving Dharma talks, so please encourage your local Order members to record theirs, and help us keep the momentum going by encouraging regular uploading to your local page. And if your project doesn't have a space yet on FBA, please get in touch and we'll be delighted to help you get started. * We currently host audio archives for 40+ Triratna Centres, projects and businesses around the world! * Free access to so many rich Dharma collections is of great value to small groups and individuals living in areas where it is not easy to stay connected with the wider sangha. * Community Places provide a unique way to share our various approaches to practice - we have a rich treasure trove of teachers in our Movement. * The service is being used increasingly in non-English speaking parts of the world including Valencia, Spain; Essen, Germany; Krakow, Poland; Gent, Belgium; Oslo, Norway; and Dhammakranti, India. We'd like to take a moment to mention our long time contributors to the Free Buddhist Audio archives: Taraloka and Padmaloka, two retreat centres in the UK who regularly record and upload teachings, led meditations, Q & A sessions, and more on a variety of topics. Many people around the world savor access to these collections and find great inspiration in them for their lives and practice. "Someone in the Ukraine, or Helsinki, or Missoula MT can listen to a talk given in Nagpur, India or Manchester, England sometimes within hours of its original delivery. This means, among other things, that we are much less likely to turn into a galazy of disconnected centres, and more able to evolve and develop as a united and harmonious Dharma community." Check out what's happening in our global sangha by visiting Free Buddhist Audio's Community Places! This month sees the start of a new Triratna campaign in the UK. Called "Keep the Three Jewels Shining", it's about raising awareness of the importance of making your will - and asking people in the Triratna Buddhist Community to consider leaving a gift to Triratna in their will. Vajragupta, one of those behind the campaign says, "It is obviously important to have your affairs sorted out, so that the family and friends you want to benefit in your will do so. Making a will is also an opportunity to make a difference to causes you care about, or communities you want to support." "It is a lot easier and quicker to make a will than people sometimes think. We've produced a website and brochure that have a clear, 10-step guide to making a will. We are now touring UK Centres to promote these and a short, inspirational film made for us by Clear Vision." The 10-step guide can be found at www.triratnadevelopment.org/making-a-will . The brochure and film will soon be available at UK Centres, as Vajragupta and other members of the Development Team visit almost every Triratna centre in the UK through October and November. And here's the first part of the new Clear Vision film: "Keeping the Three Jewels Shining". It’s a short, 20 minute film, in which Triratna practitioners reflect on their relationship to each of the Three Jewels. In the first part of the film (6 minutes), they reflect on what inspires them about the Buddha, and why his message is needed today. Triratna's Brighton Buddhist centre is having an all-nighter as part of the 'White Night' arts festival in Brighton and Hove on 30th Oct, 6pm - 6am! 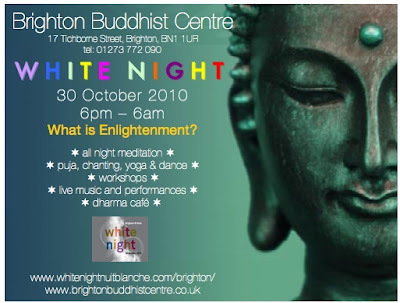 30,000 people are expected to be on the streets of Brighton for White Night and the Brighton Buddhist Centre is one of the main venues. They say - "The theme of the festival is Illumination and Enlightenment, and we are asking 'What is Enlightenment?' and collecting responses from the public to project throughout the event - so tweet or text in your response (see above for details). Throughout the evening we'll be offering workshops, meditation, pujas, performances, yoga, dance and live music - all connected to Enlightenment. "Some of the highlights will be 'Storytelling from the Cave Shrine' - Vidyadasi's dramatised reading of the life of Padmasambhava from 7pm - 3am! She will be doing this to raise money for Buddhafield's land project - check her fundraising page at www.justgiving.com/PadmasambhavasLiberation. There's also 'The Beauty of Mantra' with Mahasukha, a White Lotus Sutra interactive workshop, Create your own little books of Enlightenment - 3 wishes, 3 loves, 3 secrets, 3 things to let go of, An Improvised comedy workshop to help transform our minds and shake loose old limiting self-views, also live set from Bob Hillary (www.bobhillarymellow.com) and midnight 5 Rhythms dance with Tim Stephenson. "And finally, at 5 am Kavyasiddhi will lead an Akshobya puja to greet the dawn! Then we'll join a dawn chorus on the beach - of course we'll all be Enlightened by then! "Metta from Sunny Brighton x"
Last weekend saw 55 young Buddhists from the Triratna community gathering for a weekend retreat in the UK’s beautiful Peak District. The weekend was the third in what’s become an increasingly popular annual event, each one being significantly larger than the last. People came from all across the UK - from Inverness to Cornwall, plus three from Dublin. The theme was community, with a series of short talks on the four ‘Sanghravastus’, or ‘Means of Unification of the Sangha’ - an early teaching of the Buddha, found in the Hatthaka Sutta in the Pali Canon in which he advises on how best to create and maintain a spiritual community. Plans are already in motion for next years’ national weekend retreat - and in the meantime there’s a range of events for young Buddhists - check the Events tab of the Young Triratna group on Facebook at www.facebook.com/group.php?gid=49821059114 or www.virya.co.uk. Aryamati writes from Manchester, UK, to say - “l'm pleased to say l've won a poetry prize in Didsbury Arts Festival. l'd like to give thanks to Bhante, for encouraging us to develop our imaginations through the arts. Only when l came to Manchester as a mitra did l begin writing poetry; my gratitude to him for opening a new awareness - and to Ananda and Manjusvara for their ‘Wolf at the Door’ workshops, and their friendship. And to Vishvantara for her love and support. “This poem was inspired by a Garden exhibition at Manchester Art Gallery, it's in 2 parts. wild flowers crown rusting crosses. 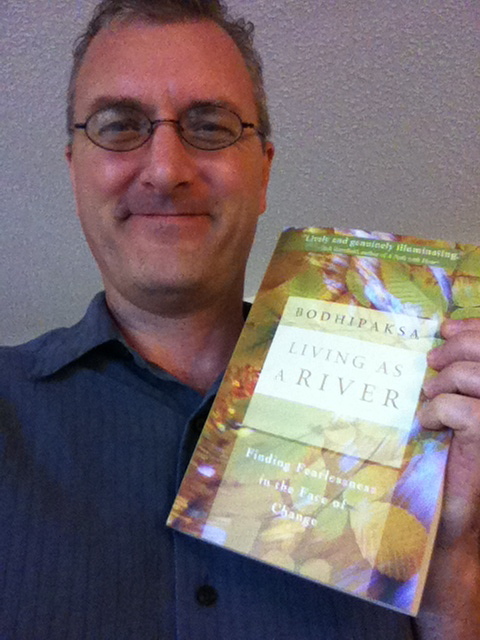 If you're a fan of Bodhipaksa's work on Wildmind, or of his meditation books and CDs, you'll love ‘Living as a River’, his new book on embracing change. The blurb asks “What happens when we embrace the flow of life?”, and replies, very simply - “ We stop suffering”. In Living as a River, Bodhipaksa conducts an investigation into the nature of self, with an eloquent blend of current science and time-honoured spiritual insights intended to free us from the fear of impermanence in a world defined by change. Jack Kornfield has described it as "An interesting, lively, and genuinely illuminating teaching of Dharma." The book has its own website, livingasariver.com, where you can read excerpts from the book. In ‘Being the river’, the chapter on the Water Element, Bodhipaksa discusses how water is the archetype of all change: all things flow, and we ourselves are not static and separate entities, but eddies in the stream of life. "Me alegro informarles a la Orden que el dia 2 de Octubre tomo lugar la Ordenacion Publica de Lola Sorriano. Paso en el Centro Budista de Valencia en España. Ya se llama Prajñasiddhi (macron encima de la segunda "a"). El nombre es sanskrito y quiere decir "Ella quien tiene el logro de la sabiduria". La preceptora privada fue Paramachitta y la publica fue Parami. "Con maitri, Dharmacharini Anagarika Parami"
or in English - "I am delighted to inform the Order that on Saturday 2nd October, in a ceremony at the Valencia Buddhist Centre, Spain, Lola Sorriano had her public Ordination. She becomes Prajnasiddhi ( tilde over the "n" and bar over the second"a"), which is a Sanskrit name meaning "She whose accomplishment is wisdom". The Westernised spelling is Prajnasiddhi. The Private Preceptor was Paramachitta and I was the Public Preceptor. With metta, Parami"
Padmalila writes from the London Buddhist Centre with news of a special retreat they’re running later this month, exploring the ‘Prajnas’ or Wisdoms - perhaps better known as the female Buddhas. She says - “These are a lesser known set of five archetypal Buddhas in female form who appear traditionally in sexual union with their male counterparts but who are now being explored as independent Buddhas. 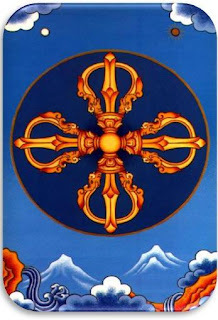 “In 2001 Vessantara spent a long solitary exploring these figures and the symbols of each began to emerge more clearly. He developed visualisations for them, mantras and a set of pujas too. Gradually images of the figures are emerging - Visuddhimati, Aloka and Amitajyoti have all made representations of some of them and Kumuda, in Bristol, has made a very striking set of all five figures which hang in the centre’s reception room. “It is still early days, and a rare occurrence to have a retreat exploring these female Buddhas. Each are associated with an element and with a wisdom (an aspect of Enlightenment), plus their own mudra (hand gesture), colour, animal, and more. Thus they span both everyday reality and spiritual reality. The retreat runs from 17-22nd October at Vajrasana, is open to men and women, and will be led by Vanaraji and Padmalila. Find out more via the LBC website www.lbc.org.uk/5prajnas.htm . 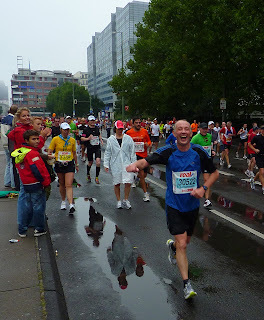 Amogharatna has just completed the Berlin marathon as a fundraiser for the new Berlin Buddhist Centre - of which he’s the Chairman. He says - “big thanks again to all who sponsored me and helped me to raise money for the new Buddhist centre. (It is still of course possible, just click here!). “Two days after the event I feel surprisingly fit and well. It rained during virtually the whole time... apart from the super sense of satisfaction of having fulfilled this goal and of having helped raise money for the new centre, I am really impressed by the accuracy of the training plan that I followed. that gave him that extra energy! And check his fundraising website www.justgiving.com/Amogharatna if you’d like to donate - the race may be over but the fundraising isn't!